Dan Ariely, is a behavioral economist, and a contemporary of Daniel Kahneman, who is the author of Thinking Fast and Slow. When Dan Areily was young student in Israel, he was involved in a tragic accident which burnt half of his body, the poor fellow had to go to the hospital to get his bandages changed everyday. It was an excruciating process, the nurses used to pull the bandages quickly to shorten the duration of pain, Dan did not like this approach and after some research and education suggested an alternative, he suggested that the bandages be removed slowly, which would increase the duration but lower the intensity. Dan's recommendation were never implemented on a large scale, he was befuddled by the behavior of the nurses, after all their skills and experience they kept making the same mistakes. Perhaps, other people similarly made the same mistakes, they misunderstand the consequence of their behavior and, for that reason repeat the wrong decisions; This is the scope of this book. The author through repeated experiments and empirical evidence shows how we humans make the same mistakes again and again without learning and delude ourselves into believing that we are logical and rational beings. Will try and summarize the major studies and their conclusions from the book. Truth about relativity: by looking at the above example one can make out that the print and web subscription is the best deal, it gives you subscription to both Print and Web at the price of only Print, but its actually a marketing strategy, the best option out of the three is the web one, but the advertisement is designed in such a way that people opt for option 3, even when they do not have any need for print. 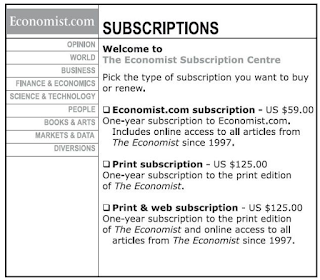 but how can the marketing wizards at the Economist manipulate their prospective customers like this? It's because they know something important about human behavior. Humans seldom choose anything based on absolute terms. They need a baseline or something to compare against. We don't have an internal value meter which tells us how valuable things are rather we choose based on relative advantage of one over another. Another example where relativity absolutely trumps is the workplace salaries. Have you ever wondered why salaries of employees are kept secret and employees are often told not to discuss their salaries? because it would lead to a catastrophe. People would leave in droves, everyone except the highest paid individuals would feel underpaid. The Fallacy of supply and demand: Do you remember the famous episode in The Adventures of Tom Sawyer? where Tom coaxes his friends into whitewashing a fence for him and even charges them to do the work. Mark Twain comprehended that work consists of whatever a body is obliged to do, and that play consists of whatever a body is not obliged to do. What consumers are willing to pay can be easily manipulated. The standard economic theory of demand and supply does not account for human psyche. The Cost of Social Norms: Social norms are wrapped in our nature and our need for community. They are usually warm and fuzzy instant paybacks are not required; you may help move your neighbor's couch but does not mean you expect her to come and move your's immediately. Diametrically opposite is the world of market norms, nothing is warm and fuzzy. It's a cold world for hard transactions, where you get what you paid for. The delicate balance between social and market norms is also evident in the business world. In the last few decades companies have marketed themselves as social companions trying to win over customers for life and creating brand loyalty, but most of failed to live up to their promises. E.g. Banks imposing hefty fine on customers on a cheque bounce or customers spending frustrating hours on an IVR. Think about the work place for a moment. They want their people to work late in the night and be ready to handle any escalations be it a holiday or late in the night. The companies expect that employees will do all this while they cut costs, give minimum hikes, delay promotions and get obsessed with short term profits. How do you think these situations are panning out? If companies want to cultivate a better social relationship with their employees then they have to do a better job of cultivating those relationships. Many more lessons in this thought provoking, brilliant book.